Sustainable Energy Targets for New Jersey. NJSSI is working to establish quantitative targets that define sustainable development for the energy sector in New Jersey. The energy targets work is the first of a series of similar target setting activities on the major issues in New Jersey related to sustainability. To support the energy target work, the New Jersey Board of Public Utilities has provided a $240,000 grant to NJSSI. NJSSI’s indicators tell us that we are consuming more non-renewable, green house gas emitting energy per person. According to our goals this is a negative trend. Although New Jersey is taking significant steps to address the problem, we do not have a realistic idea of what must be achieved if we want our energy footprint to fit within the envelope of what is sustainable. Therefore we do not know if the steps we are taking will bring us remotely close to where we need to be. Similarly, we do not know if steps we are taking today will overshoot the mark, thereby wasting valuable resources that could be dedicated to solving other problems. NJSSI is convening a deliberative process to develop widely accepted and credible targets that quantitatively define energy sustainability. This process will integrate governmental, public, private, and NGO input through conferences and symposia, and will have expert working groups to ensure the validly of the analysis. The full set of targets will be released to the public in Winter 2006/2007, and a subset of the targets will become part of the Living With the Future In Mind report. NJSSI is currently working with a number of communities in New Jersey to develop pilot Community Sustainability Programs. These initiatives develop goals, indicators, and targets through a broad public dialogue that includes municipal government and local civic organizations. Each program develops implementation strategies and actions tailored to individual citizens, municipal government, businesses, and homeowner associations. At the end of the processes the work is institutionalized in local government and civic organizations. Efforts are made to link local sustainability plans with statewide and global efforts by linking to the Sustainable State Goals and Indicators housed at NJSSI. The Monmouth University Polling Institute (MUPI) and The New Jersey Sustainable State Institute (NJSSI) are embarking on a project to jointly develop a public opinion poll to address gaps in our knowledge about quality of life and sustainability in New Jersey. The project will help citizens and key decision makers understand where we are as a state and where we are headed. A critical element of this project will be a public outreach process to ensure the poll satisfies the priorities and information needs of citizens, researchers, and policy makers. To ensure that the data we collect meets the public policy and decision making needs of New Jersey, we will solicit input from government, business, and public interest organizations through a broad outreach process that will include a conference and an expert working group. We do not want to tell New Jersey what is important: we want to hear from New Jerseyans about what information they need to make good decisions. The current Sustainable State Goals and Indicators report will be an important starting point for this dialogue. As part of NJSSI’s first public process, experts were asked to identify critical gaps in knowledge of sustainable development and quality of life. The new public process we convene will ask experts, citizens, data users, and policy makers to build on this work and help craft the issues to be investigated and data to be generated. NJSSI publications address key issues about sustainability in New Jersey and how we can best work to achieve it. 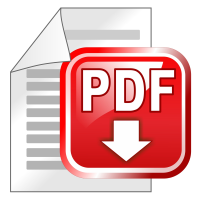 They may be downloaded from the web in PDF format. Living With the Future in Mind Third Edition – Coming Soon – the most recent updates of the New Jersey Sustainability Indicators. Governing with the Future in Mind – How state agencies can contribute to the sustainability goals through their work, produced by the Interagency Sustainable State Working Group. The Institute issues occasional briefs with useful information about our activities or about sustainability in New Jersey. Implications of the World Conference on Sustainable Development for New Jersey. NJSSI’s work setting energy targets for the state. What have sustainability indicators got to do with sustainability? To receive Institute briefs as they are produced, please join to our mailing list. This list is used for occasional information from the Institute, and is not made available to other organizations. You can unsubscribe at any time by following the link at the bottom of each email sent to the list. “Sustainability indicators on the web” – a column by Joy Hecht in Environment Magazine, January-February 2003. “Introduction to Sustainability.” Rotary Club, September 2003. “Sustainability Indicators at the State Level.” Mid-Atlantic Sustainability Conference, June 2003. “Operationalizing Sustainability Indicators: The New Jersey Experience.” US Society for Ecological Economics Conference, May 2003. “Sustainability at the State Level: Strengths and Weaknesses.” International Sustainability Indicators Network Conference, March 2003. “Sustainability and Indicators at the State Level: The New Jersey Example.” EPA Region 2, February 2003. “Sustainability at the State Level: The New Jersey Example” Pennsylvania Resources Council, February 2003.